Located at the southeast end of Fraser Lake, between Fort Fraser and the town of Fraser Lake, the White Swan capital of the world. Windsurfing, canoeing, kayaking and waterskiing are popular lake activities. There is a concrete boat launch located approximately 500 m from the campground. Fraser Lake is famous for its Rainbow trout and char. There is a beautiful, expansive sandy beach for swimming. Wildlife is abundant within the park. The marsh area represents ideal habitat for many species of birds, aquatic insects and beavers. 49 campsites, 5 walk in beach campsites, day-use area on an expansive sandy beach, a playground, boat launch and sani-station. 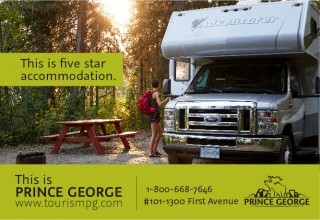 134 km west of Prince George on Highway 16.